Help the City of San Francisco meet its Biodiversity Goals! 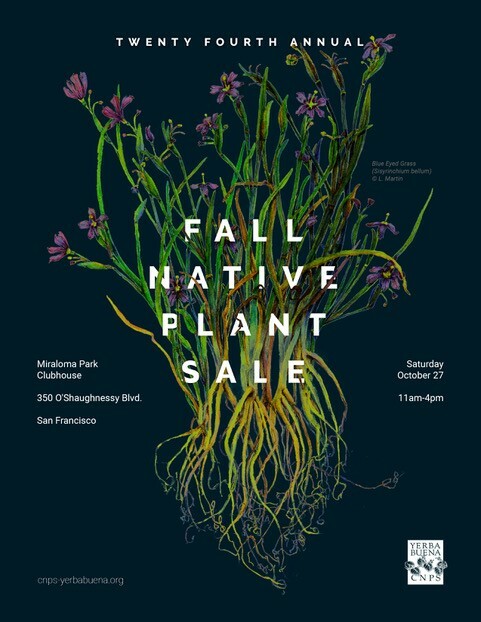 WE NEED YOU to VOLUNTEER AT OUR FALL NATIVE PLANT SALE! Volunteering is fun at our annual fall native plant sale! This is a great opportunity to learn about our local natives while supporting our chapter’s goals of re-wilding the San Francisco Bay Area.